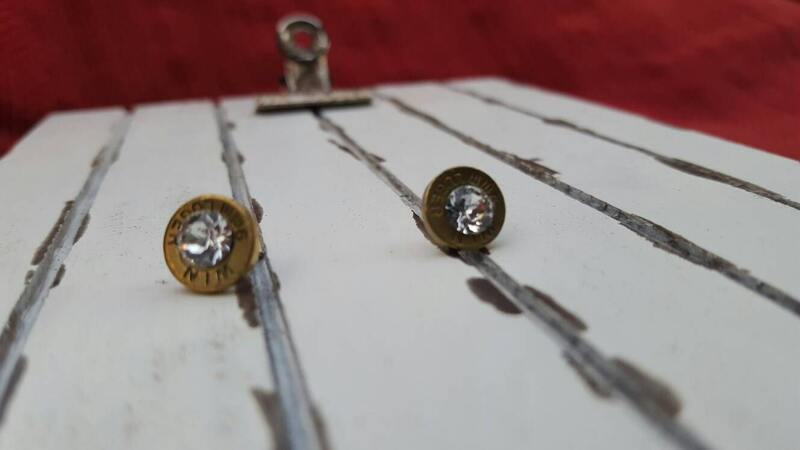 9mm bullet studs, nickel free and lead free. 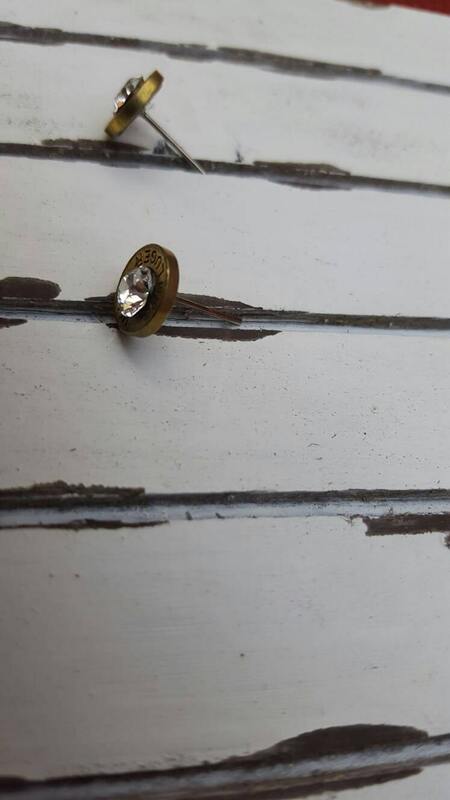 With clear swarovski crystal. 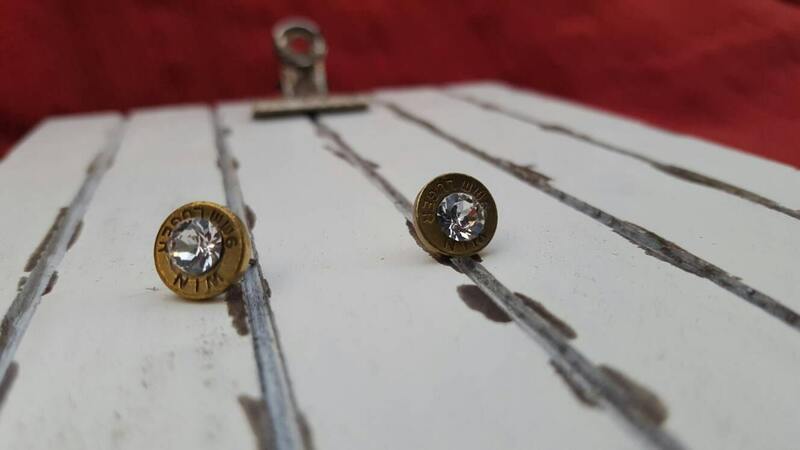 Earring studs, 9mm bullet slices, clear swarovski crystal gems inside. 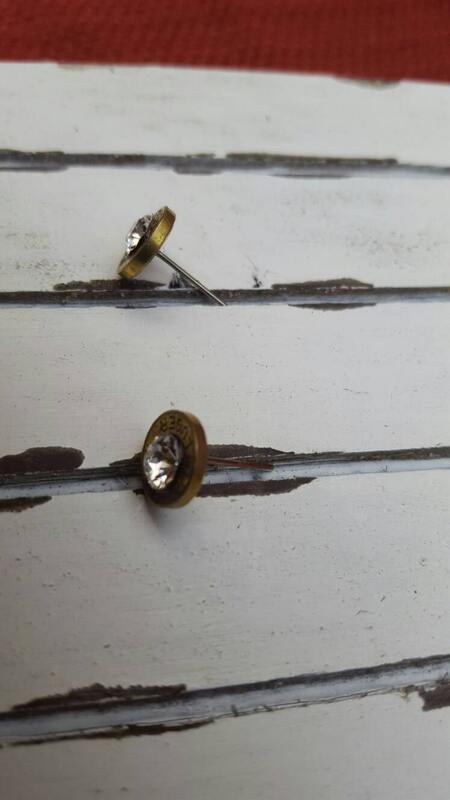 Studs are nickel free and lead free.